Benjamin Lincoln was born on 24 January 1733 in Hingham, MA. Lincoln's ancestors were among those who first settled in Hingham, beginning with Thomas Lincoln 'the cooper,' who was among several Lincolns who settled in Hingham when it was part of the Massachusetts Bay Colony. In his early life, Benjamin Lincoln worked on the family farm and attended the local school. Later in life, he felt the lack of further education and got a Master's degree at Harvard. In 1756, at the age of 23, Lincoln married Mary Cushing, daughter of Elijah Cushing of Pembroke, MA, but whose ancestors were also among the founders of Hingham. They had eleven children. Lincoln followed in his father's footsteps into local political office. At 21, Lincoln became the Town Constable and in 1755, he entered the 3rd Regiment of the Suffolk Militia as an Adjutant. In 1757, he was elected the Town Clerk of Hingham and was elected Justice of the Peace in 1762 and again in 1772. Lincoln was promoted to Lieutenant Colonel of the 3rd Regiment of the Suffolk Militia. Being in the Suffolk Militia allowed Lincoln to gain military experience which he used in three major battles of the American Revolution. In July 1775, Lincoln was chosen by the town of Hingham as its Representative to the Massachusetts General Court, held at Watertown pursuant to a resolution by the Continental Congress. Benjamin Lincoln's father, Col. Benjamin Lincoln, had served as a member of His Majesty's Council from 1753-70 (he died in 1771). Benjamin Lincoln's son, Benjamin Jr., wasn't nearly so well disposed towards the Crown. In 1770, in a list of resolutions passed by the inhabitants of Hingham, Gen. Benjamin Lincoln outlined the measures urged by Hingham residents towards the non-importation of British goods as well as condemning the Boston massacre. Lincoln served as Hingham's Representative to the Provisional Congress held successively at Concord, Cambridge and Watertown, MA. 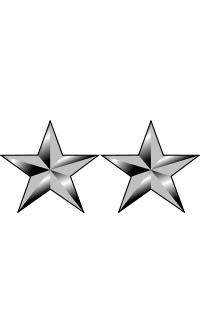 In 1776, Lincoln was promoted to Brigadier General, then Major General, then Commander of all Massachusetts Troops in the Boston area. After the British evacuation of Boston, Lincoln joined General George Washington at New York, commanding the right wing at the Battle of White Plains. Shortly after seeing action at Fort Independence, he was commissioned into the Continental Army as a Major General. In April 1777, he was defeated at the Battle of Bound Brook by a much larger force under the command of Lord Cornwallis. In September 1777, Lincoln joined Horatio Gates's camp near Saratoga to take part in the Battles of Saratoga. Lincoln's ankle was shattered by a musket ball during the Second Battle of Saratoga, permanently leaving him with one leg shorter than the other. After recovering from the severe wound to his ankle, Lincoln was appointed Southern Department Commander in September 1778. Lincoln participated in the attack on Savannah, GA, on 9 October 1779 and was forced to retreat to Charleston, SC. He took command of the garrison of Charleston. In March, the city was surrounded by a sizable British force dispatched from the northern colonies. After a relatively brief siege Lincoln was forced to surrender to Lieutenant General Henry Clinton on 12 May 1780. Lincoln, desperate for more troops, had pleaded with the South Carolina Legislature to arm 1,000 enslaved African-Americans to ward off the approaching British. Rather than see armed slaves, the Legislature began negotiations with the British commanders to allow the British forces to pass through South Carolina. This was one of the worst Continental defeats of the war. He was denied the honors of war in surrendering, which deeply rankled him. Lincoln was paroled, and in the court of inquiry no charges were ever brought against him. The British subsequently sought to enlist large numbers of black soldiers. After being exchanged for the British Major General William Phillips in November 1780, Lincoln returned to Washington's main Army, led it south to Virginia and played a major role in the Yorktown surrender on 19 October 1781. Pleading illness, Lord Cornwallis did not attend the surrender ceremony, choosing instead to send his second-in-command, the Irish General Charles O'Hara. In response, General Washington refused to accept O'Hara's sword and sent his own subordinate, Lincoln, to receive the surrender. From 1781 to late 1783, Lincoln served as the first "Secretary of War," also called the "Secretary at War." He was appointed by the Confederation Congress under the Articles of Confederation. He was succeeded in the post by Henry Knox. In 1787, Lincoln was a member of the Massachusetts State Convention that ratified the U.S. Constitution. Earlier in 1787, Lincoln helped put an end to an uprising of farmers known as Shays' Rebellion. The uprising, which led to calls for a stronger central U.S. government, ended when the Militia under Major General Benjamin Lincoln attacked the rebels and forced them to surrender in February. Lincoln was then one of only 10 men who received electoral votes during the first election for President and Vice President of the U.S., receiving the vote of an unrecorded elector from the State of Georgia. He also served as one of the first trustees of Derby Academy, recently founded in Hingham by Sarah Hersey Derby, widow of a wealthy Salem shipping magnate. He stayed active in public life in various capacities, including a term as Lieutenant Governor of Massachusetts and many years as the Collector of the Port of Boston. He retired from public life in 1809. General Benjamin Lincoln is buried in the Old Ship Burying Ground (now known as Hingham Cemetery) behind Old Ship Church in Hingham. Among the pallbearers at his funeral were John Adams, Cotton Tufts, R. T. Paine, Richard Cranch and Thomas Melville. In Lincoln's honor, the bells at Boston and other places were tolled for an hour; the flags of vessels, and those at Fort Independence and Fort Warren, as well as those at the Charlestown Navy Yard were lowered to half-mast. He was one of the few men to have been present at the three major surrenders of the American Revolutionary War: twice as a victor (at Yorktown and Saratoga), and once as the defeated party (at Charleston). In spite of the major role he played during the war, he tends to be less well-remembered than many of his contemporaries in the Continental Army. 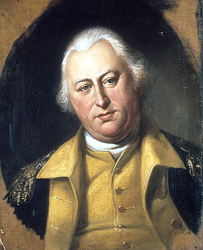 Major General Benjamin Lincoln died on 9 May 1810 in Hingham, MA. He is buried at Hingham Cemetery in Hingham.